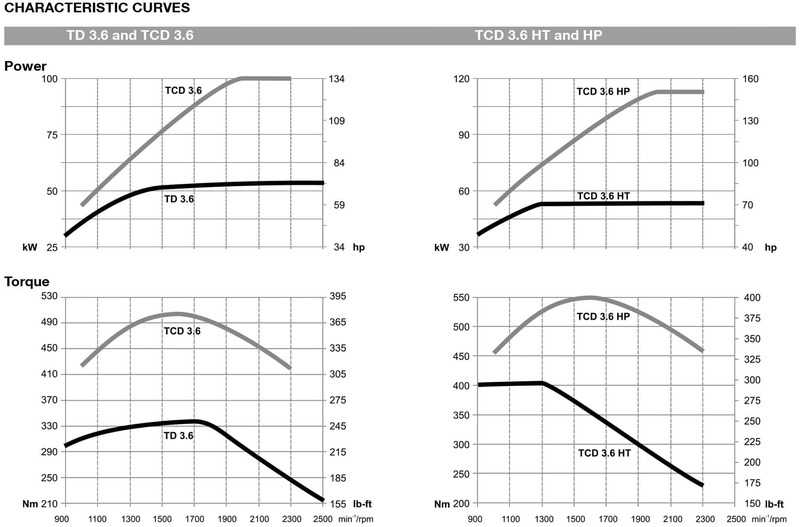 The TCD 3.6 provides exceptionally high torque, capable of doing the job of a much larger displacement engine. Use of an oxidation catalyst (DOC) enables maintenance-free operation under all applications and ambient conditions. 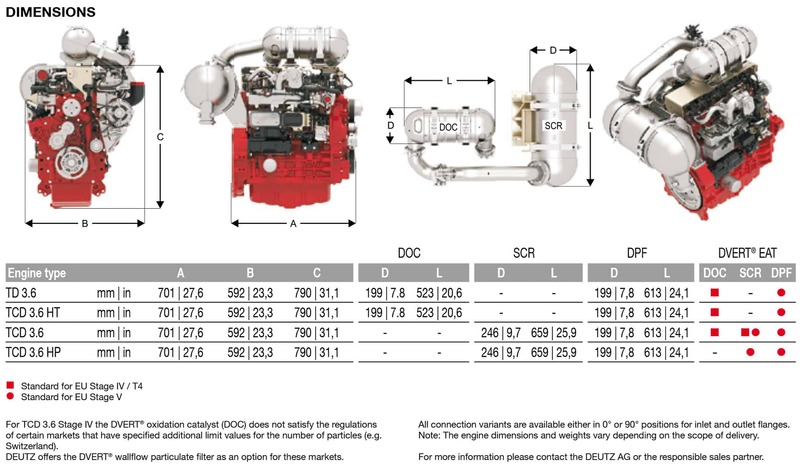 A particulate filter (DPF) is available as an option. Low maintenance costs and increased machine availability are achieved through 500 h oil change intervals and a maintenance-free valve train. 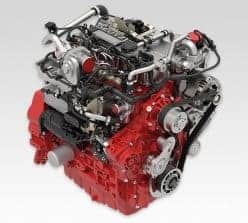 The engines meet the requirements of the Tier 4 56kW with an oxidation catalyst. Additionally for EU Stage IV / US Tier 4 >56kW with SCR. A variant without EAT is available as an option for less regulated markets.